For the August 3rd edition of Mommy's Mani Monday, we were assigned another person in the group to give "orders" to. 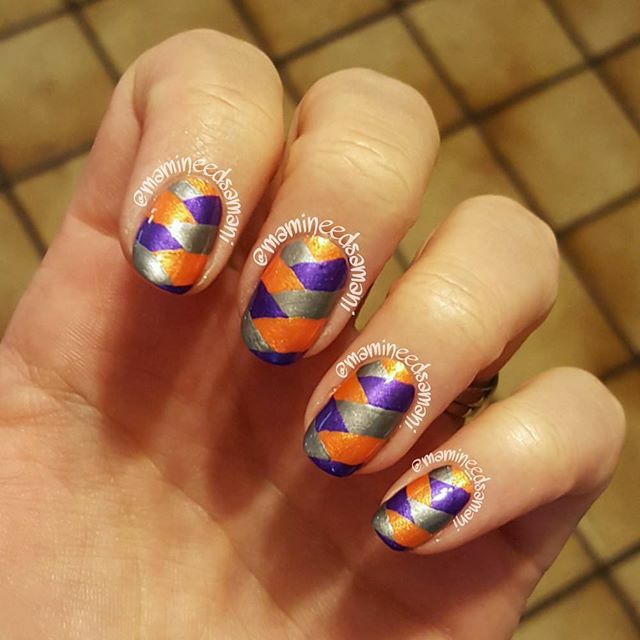 @ThePolishedPerspective (check her out, she's amazeballs!) "ordered" me to use my least favorite and most favorite color. For this mani, I used Sinful Colors Vacation Time and Tempest (because I LOVE purple!!!). I used a fan brush to work both colors into the mani, and I actually kind of like how it turned out! I was assigned to give orders to @hottmama_of4 (go check her out, too, she's pretty awesome!) and I gave her "Braided, or "Herringbone" nails. She nailed it. I love the look she did! Below, you will find my braided mani. It was a lot easier than I had anticipated! 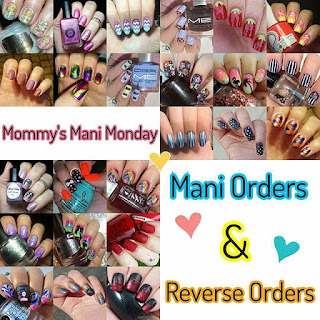 I used all M Polishes for this mani, and they made it a breeze! I used Hottie, Dancing in the Streets, and Iron. 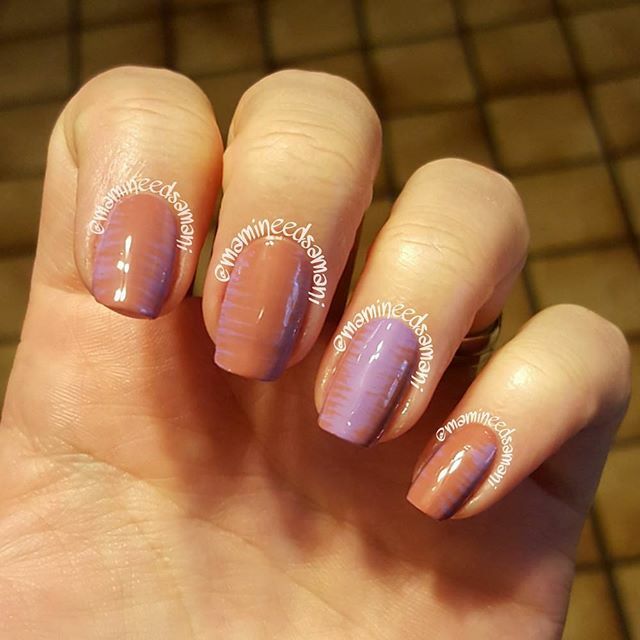 Have you tried the braided technique yet? Do you like it?